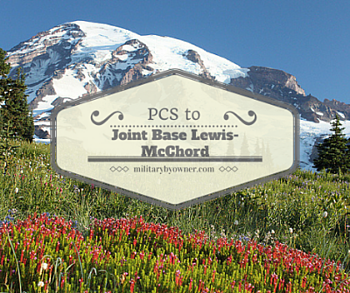 Joint Base Lewis McChord (JBLM) is the product of BRAC realignment that culminated in the 2010 joining of Fort Lewis and McChord Air Force Base. Located on the picturesque Puget Sound in Northwestern Washington, JBLM is touted as the most requested Army installation by the base’s MWR, and popular consent among military members reinforces the designation. Many of the positive aspects of the area are related to how close the base is located to idyllic mountain ranges and Pacific Ocean destinations. As well, JBLM is found between Olympia and Tacoma and about one hour from Seattle, leaving endless opportunities for city exploration. SeaTac International Airport, about 40 minutes away, is the best way to enter Washington and tour your latest PCS adventure. Before arriving, you may want to look into base lodging at one of four IHG Military Hotels or use PCS Lodging to help find a comfortable stay while house hunting. With this much access to amenities comes the dreaded traffic. Interstate 5 near JBLM all the way up to Seattle is synonymous with tie-ups, snarls and accidents. Families often consider their commute times from cities off post when scouting for their new homes. From my estimation, it seems military families are thrilled with the predictable, temperate, and damp weather, or they are just biding their time to leave the Pacific Northwest altogether in search of sunny skies and rainless days. The common piece of wisdom is to embrace the rain and make a checklist of must-do options before the next set of orders comes around. This attitude passes the time more quickly, whether that is your goal or whether you love the area and want to see everything it has to offer. Endless dreary days often give way to perfect sunshine-filled months in July, August, and September. Affordability seems to be the prevailing sentiment for surrounding home and rental prices. Researching MilitaryByOwner will help to put these numbers into perspective. A commute of 20 to 30 minutes will offer more land availability, while proximity closer to base offers more urban amenities. Popular cities for military families to consider when making relocating plans include: Lakewood, Puyallup, Spanaway, and University Place which are nearest to the northern end of the base where the former McChord AFB was found. On the southern end, where Fort Lewis was located, the cities of Olympia, Lacey, and Dupont are nearest. Most of the Fort Lewis area is south of I-5, but a small portion, Lewis North, is north of the interstate where it is helpful to understand which gate to use for the right direction. The Olympia, Lacey, and Dupont areas, about a 20-minute commute (without traffic) north to JBLM, provide the comforts of suburbia with easy access to large chain stores and restaurants with plenty of recreational options for the outdoors. They also offer enough higher rated schools to make it worth investigating. Military Town Advisor will help you understand education and neighborhood reviews to direct you to schools. Remember, these cities are accessible via I-5 and traffic issues will be a consideration. Dupont has access to a closer non-main entrance gate to JBLM for better commuting. For the cities both north and south of the base, residents cite lower crime rates and smaller population size in comparison to the Tacoma area. Also popular are the cities of Steilacoom and Lakewood. Both are located on the northern end of JBLM. Steilacoom is known for its views of the water, charming older homes, and lush farmers’ markets. Lakewood offers plentiful shopping. JBLM offers privatized military housing provided by Equity Residential Properties. Many of the housing options have either been renovated or are new builds. Within the housing communities and throughout the base lies an enviable park system with baseball and soccer fields, a football and track stadium, and many smaller playgrounds. Because of the duality of the base, families have an unusual amount of access to child care centers, commissaries, fitness centers, and the like. The Exchange is large with smaller stores and a food court adjacent. The commissary is also large in size but serves many people. It is true here, as with most other commissaries, that shopping during the mid-week helps with crowding. JBLM also provides the standard recreational options you might find at other installations, such as: bowling, a movie theater, playgrounds, golfing, and a thrift store. Madigan Army Medical Center is an encompassing facility with many specialty clinics and numerous pharmacy outlets and even houses a level two trauma center. Although expansive, the typical complaint of long wait times seems to common. An interesting and cost effective amenity to make use of is the access to Space-A travel provided by McChord Airfield. There are daily flights available to various locales. Part of the hassle of Space-A flying is finding close lodging if you don’t make a flight, but this is much more manageable when living so close to base. There are 20 schools that serve JBLM and several of those are newly built. The Clover Park School District also instituted new attendance boundaries for elementary schools on JBLM. In my opinion and experience, on-post schools tend to suffer from lower scores and reputations and overcrowding. It is imperative that you make the effort to utilize all your resources to separate fact from rumor. This is the time to reach out to JBLM residents through a friend-of-a-friend situation or on Facebook. Research upfront will help mitigate unpleasant housing and schooling situations later. Now for the fun stuff! I have heard over and over again how much people adore this area because of the overwhelming natural beauty and the year-round mild climate. Hiking, camping, kayaking, and boating are just a few of the outings done in the shadow of majestic Mount Rainier. Because major cities surround the base, there isn’t a shortage of urban activities to engage in, either. Museums, dining and shopping, and kid-oriented places such as a zoo and libraries are also available. Of course, all of the major professional sport teams are right up the road in nearby Seattle. A day trip to Seattle is in order when arriving at JBLM. Hopefully, you made the time during your house hunting trip to take a quick peek through the biggest city nearest your new home! Although touristy, the Space Needle and Pike’s Place Market are iconic and have to be seen at least once. Oh yes, what about a quick trip to the flagship Nordstrom? The Pacific Ocean and destinations found along the coastline are visits that are synonymous with the region. Keep in mind that beaches are not warm and water is generally not swimmable due to temperatures and dangerous surf. Bring coats for beachcombing. Some of the beaches even allow you to drive on them. You won’t be able to ignore the day trip possibilities to explore the mountains in the area. Mount Rainier is close and lets those interested take in the views and hike at all types of ability levels. Mount Saint Helens, the site of the 1980 eruption, is available for visitors to explore. The remains, destruction, and new formations from the volcano are visible. Not to be outdone, the North Cascades and Olympic Mountains are waiting for your visit. Washington’s southerly neighbor, Oregon, specifically Portland, is a two-hour journey and has a food and beverage scene that continues to boom. Canada’s proximity begs to be traveled during the weekends and holidays. Be sure to have your passport in hand to make the customs stop move more quickly and efficiently. Victoria and Vancouver are regular destinations for military families to enjoy. However you feel about the weather in the Pacific Northwest, there are limitless experiences to be had while stationed at JBLM, so get your waterproof gear and make it a PCS to remember!